Self-compassion, acceptance, and loving yourself are so important to mental health and self-esteem. Unfortunately, many people try to seek this acceptance and validation from other people instead of first finding it within themselves. 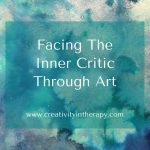 The last blog post shared some ideas for addressing the Inner Critic that voices self-criticism and makes us feel not good enough. 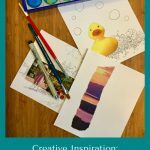 I wanted to follow this up with a quick post about a therapy activity using quotes and art to help clients focus on self-compassion. 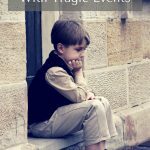 With Valentine’s Day approaching, love and romantic relationships will be on many people’s minds, whether they have love from someone special, are wishing that they did, or are working on not relying on it. So, instead, let’s shift the focus away from getting love from others and focus on love from within. 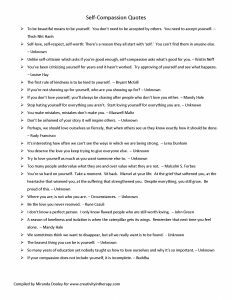 Review the quotes about self-compassion, love, and self-acceptance to find one that resonates with you or choose another quote that you know. 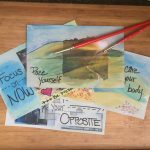 Use your quote as the starting point for an art piece or personal affirmation card. You can download the list of quotes below. 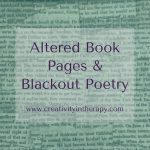 We have two versions – one is a list of the quotes and one is images that Miranda created. Click on the image to open the PDF files. 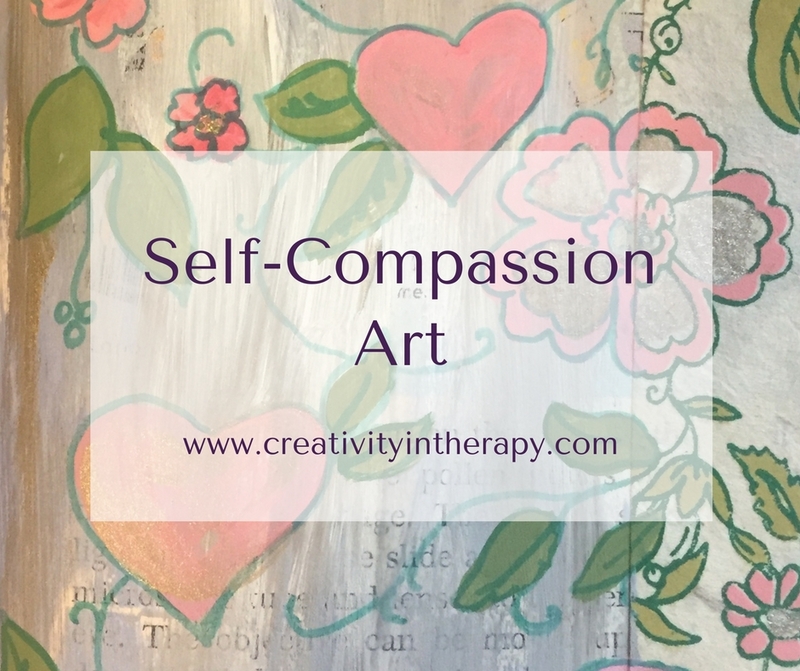 This art piece can be a helpful reminder to practice a more loving and compassionate mindset to oneself, so clients may want to keep the art in a journal or place it somewhere else that they will be able to see it for a helpful reminder. 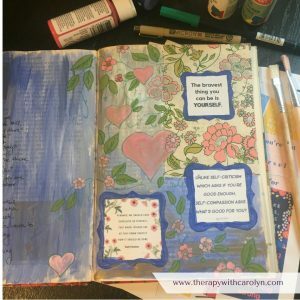 Below is my self-compassion art piece that I did in my altered book. On the left side of one page I did some journal writing about my own Inner Critic thoughts. 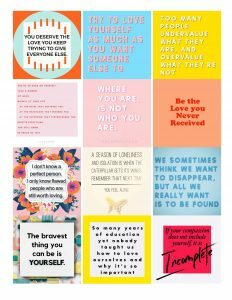 I chose a few of the self-compassion quotes that I feel I need to focus on in my life and painted around them. 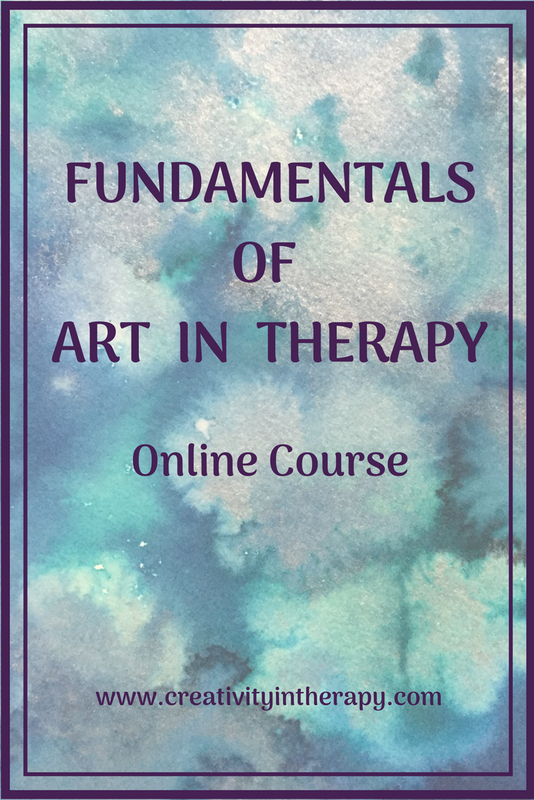 For me, the process of painting and integrating the quotes into an art piece was a very meditative experience and allowed me to spend time thinking about how I can live with more self-compassion and love. I also love having these quotes in my altered book so that I can see them again when I look through the book. Did you try the activity? 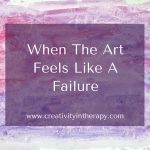 What were your thoughts and how did your clients respond? Share your comments below! Thanks again to Miranda Dooley, LMFT-Associate for her contribution to the post. Miranda is a psychotherapist in Austin, TX who works with teens, young adults, and families. For more inspiring quotes, you can follow her Instagram @mirandadooleymft. 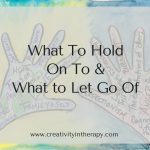 You can find out more about her practice on her Psychology Today profile. Thanks. 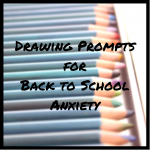 I am looking forward to try some of these ideas with the old folks! Awesome follow up! I love the idea of connecting self-compassion to Valentine’s Day. 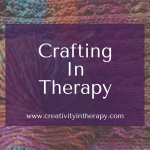 Thank you so much for sharing…as a learning Art Therapist I find your activities very helpful!!! Thanks Carolyn, for sharing your directives, and ideas. You are very generous. Thanks for sharing! So glad to hear that it was helpful for your clients.